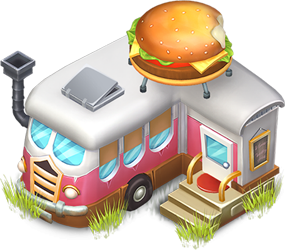 Diner is the third service building in your town you will get reaching reputation level 3. That is pretty soon. You have to buy it for 19.000 coins and crossing thumbs for 24 hours. 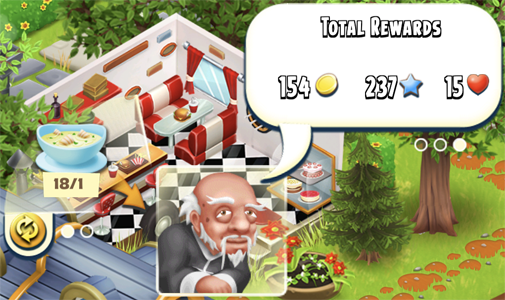 The diner is a very popular and happy place in your town. 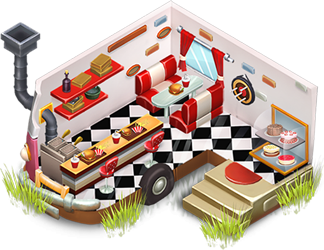 Serve your visitors and they will be so happy. What makes your visitors happy? 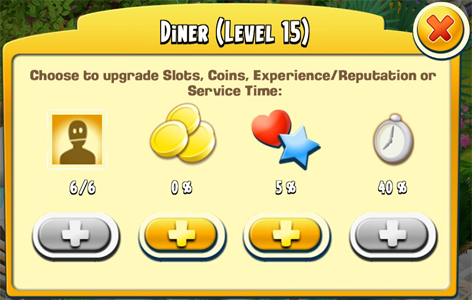 Each building has four different features you can upgrade like slots, coins, experience and time. 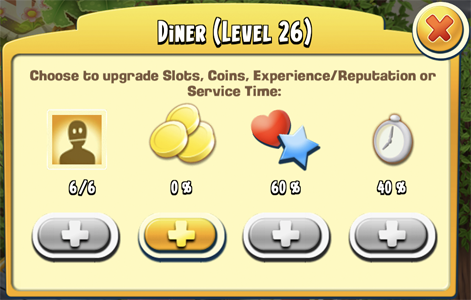 Slots: to get more demanding town visitors in the same building at the same time, from 1 initially to a maximum of 6. 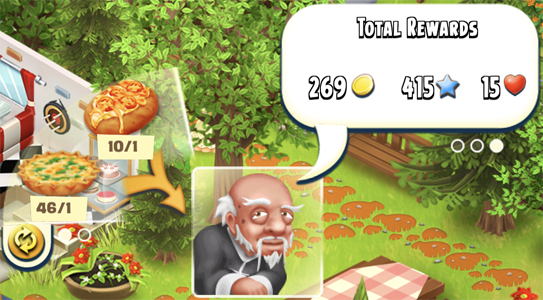 Coins: to squeeze more money from the town visitors to fill your own pocket, from +5% to +60%. 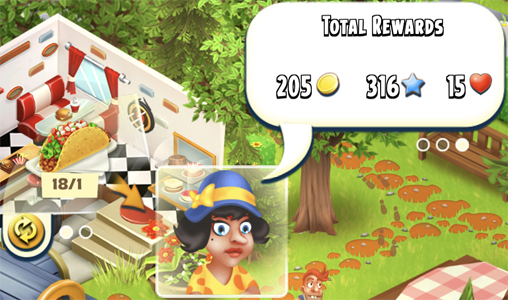 Experience and reputation: to increase the amount of and points earned per visitor, from +5% to +60%. Time: to get rid of your visitors faster so they won't spend to much time in your building, from -5% to -40%. 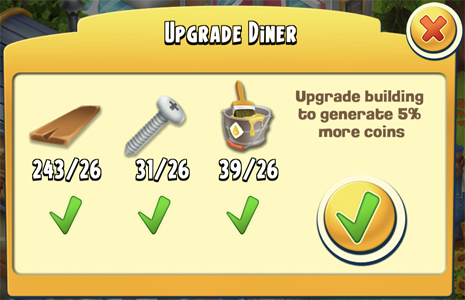 You can upgrade to max 60% extra and you will get 5 extra points so that will be max 14 for each visitor. You don't get so many experience and reputation points so upgrading will help.